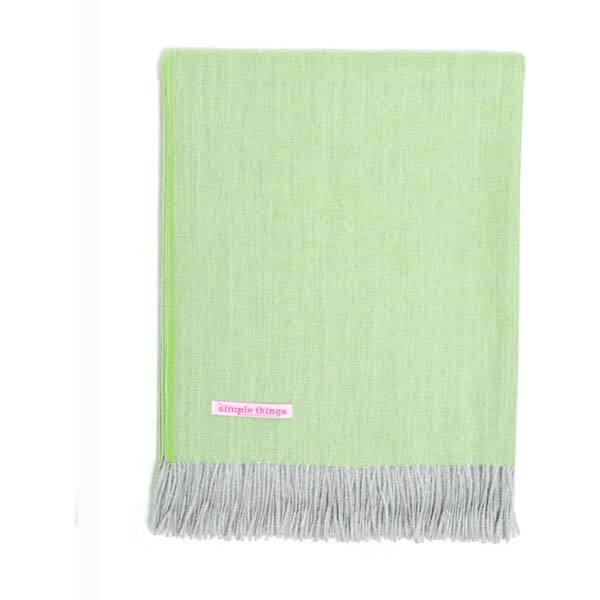 A super soft fresh green herringbone throw for all spaces. Beautifully soft herringbone woven wearable throw that will keep you warm and snug indoors and outdoors. The classic Herringbone twill pattern resembles the bone structure of a Herring fish. The first Herringbone cloth originates from around 600bc in Ireland. The Fresh Green colour is a blend of a cool light grey warp with a bright zingy green weft. A great colour to give life to your interior or outfit. Hand finished with a twisted light grey fringe. 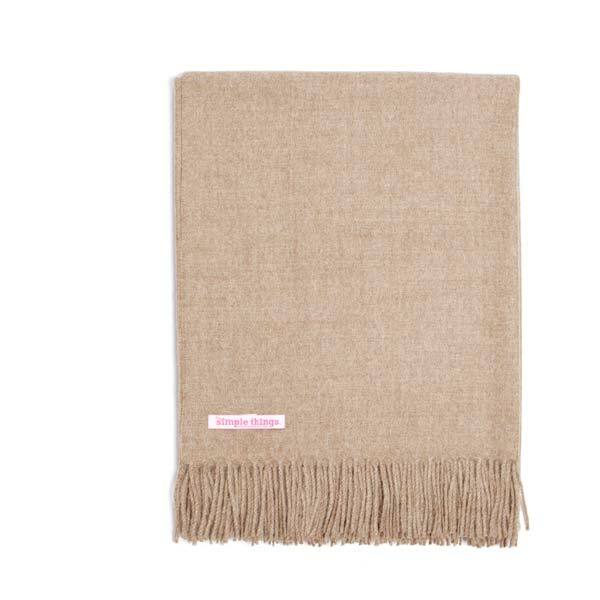 This incredibly warm throw is too soft to be only used for your home. Complete any outfit and keep yourself warm with a fashion staple Herringbone throw wrapped around you. the perfect pop of colour to your wardrobe. The perfect gift for someone special or to yourself. Or add a touch of comfort and warmth to your home with a luxurious throw that’s colour naturally blends in with any surroundings. Used as an accent to your couch, the soft texture and neutral colour of the Fresh Green Herringbone throw give warmth and harmony to any interior setting.